July 27, 2015 — “Oh. Rain Forest.” I was trudging through Costa Rican jungle, completely unprepared for the soaking I was taking. Well, not completely unprepared. I wasn’t in a tuxedo or an animal mascot suit. But I had nothing rainproof on. It was my first rain forest. In my defense, it was technically a cloud forest. 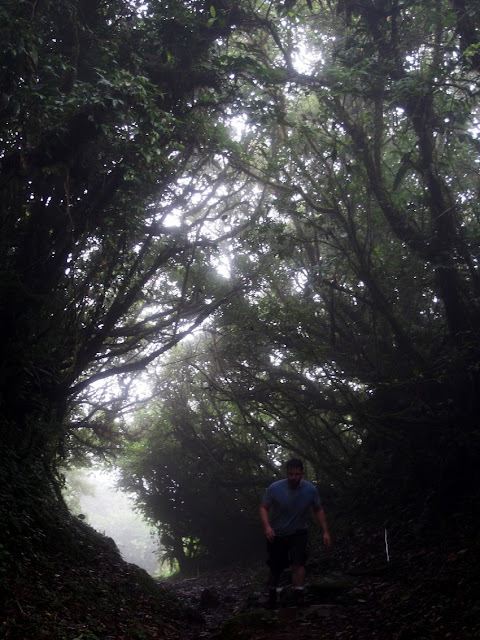 The main difference between the two has to do with elevation and topography, with cloud forests being higher, uneven, and cooler and rain forests lower, flatter, and warmer. 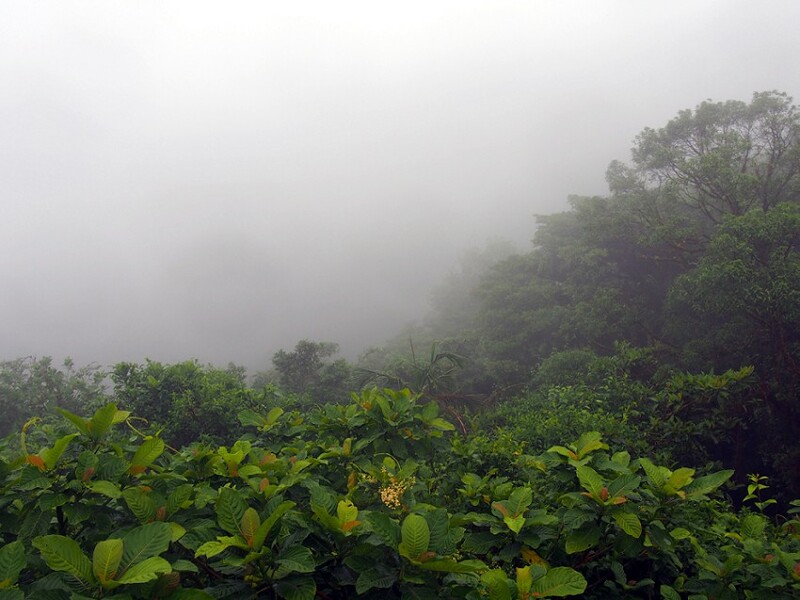 But whatever, it was raining in my cloud forest. 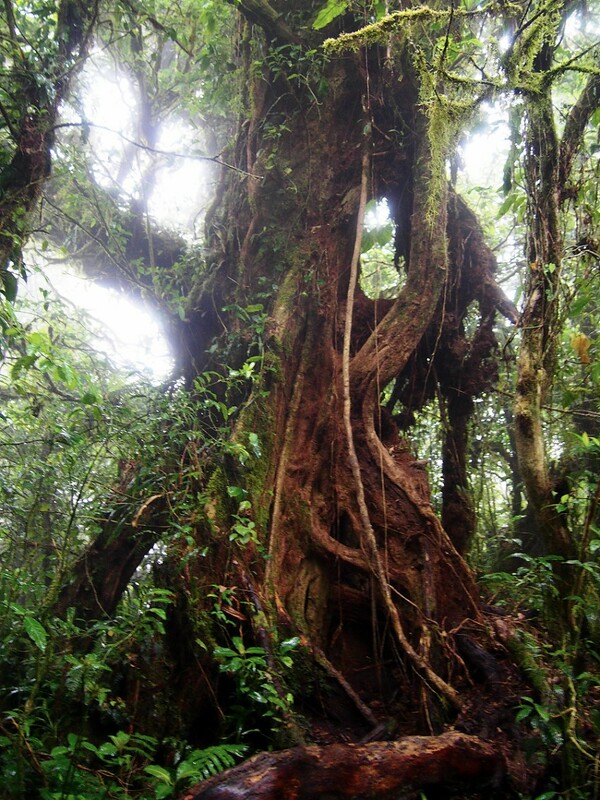 This particular cloud forest was Monteverde Cloud Forest. 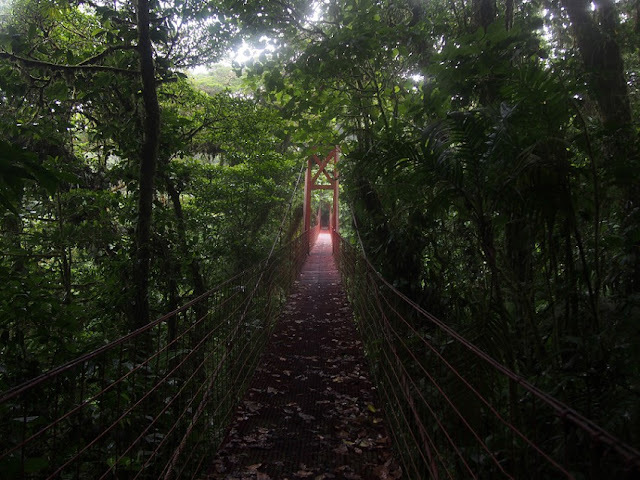 It straddles the continental divide and covers about 26,000 acres of northern Costa Rica. Its name, which translates as “Green Mountain,” came from that of a nearby town which, in turn, was named by Quakers from Alabama draft-dodging the Korean War. True story. The forest reserve itself was established in the 1970s. We checked in with the ranger, told him how long we wanted to be in the mighty jungle, and he took out a map and highlighted a route for us. But instead of pushing us into the green, he first escorted us excitedly outside and pointed earnestly at a boring-looking plant behind the station. 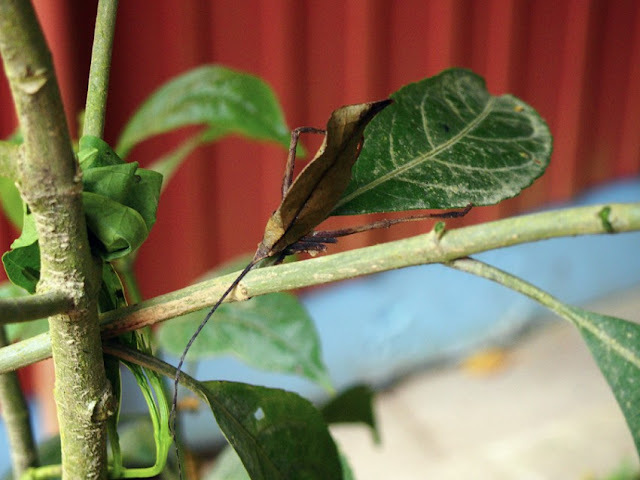 It took a little while for us to notice it, but we finally saw through the astounding camouflage of a leaf bug. It was about the size of my thumb, and didn’t so much as flick an antenna the entire time we observed it. Almost like it was a plant. I mean, in the sense that it was placed there by the staff. Accidental puns are hard to get out of. But this was good. This was exciting. This is what we were there to see. 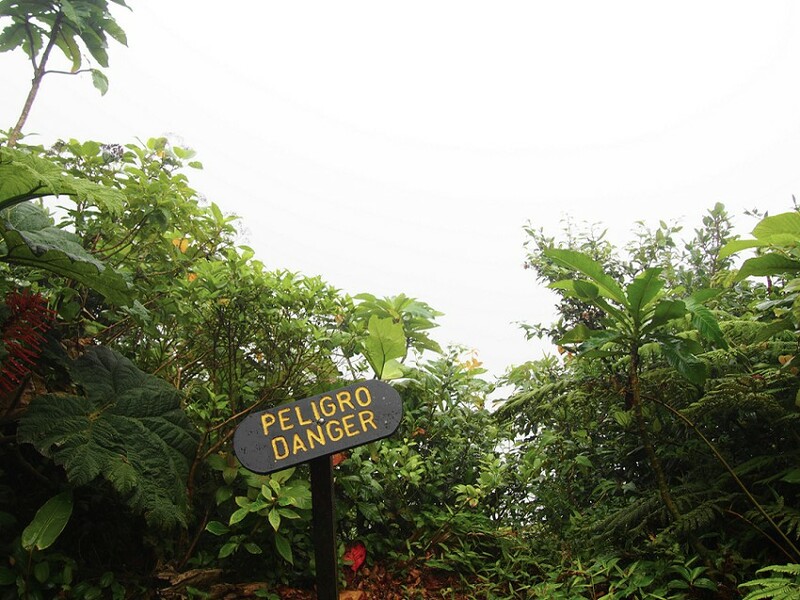 Costa Rica is Noah’s Ark when it comes to flora and fauna. It touts 4-5% of all the biodiversity on Earth despite only covering 0.03% of the planet’s surface. 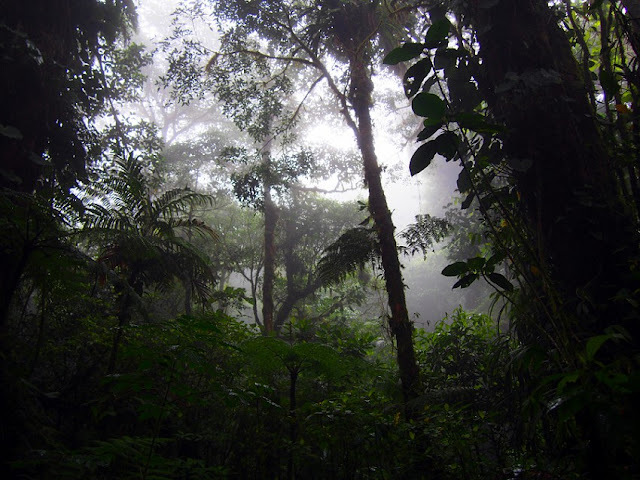 In Monteverde alone are more than 3,000 plant species, 100 mammal species, 400 bird species, 120 reptilian and amphibian species, and more insects than a bug zapper the size of the Burj Khalifa could deal with. Right before we took our first step into the forest, it started raining. And didn’t stop until we left. And for some reason we didn’t think to buy slickers or umbrellas at the gift shop. It was almost like the ranger pulled a lever for rain right after he set up that fake bug. Walking those 2.5 miles in constant rain felt like I was in one of those old war movies where squadrons trudge through the most miserable conditions or that one Ray Bradbury story about the planet where it always rained to the point of driving men mad. Except I wasn’t miserable or mad. I was on point. I wanted to see jungle animals. Jungimals. I’m talking monkeys and tapirs and sloths and constrictors and jaguars and those little neon poisonous toads that get you high. 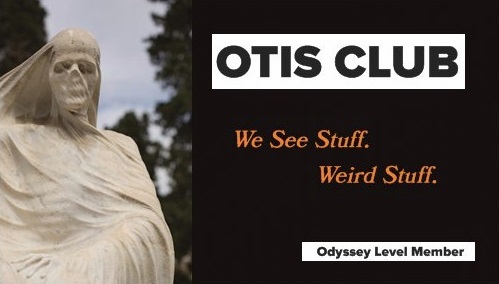 And Bigfoot. I’m always looking for Bigfoot. At one bend in the path, we saw something jump four feet vertically into the air and disappear up an embankment. I have no clue what it was. My brain didn’t even register a shape. Just a dark mass maybe the size of a softball, like a clump of ground detritus had suddenly gained consciousness and ran terrified of life, like we all should. By the time we made it to the ledge overlooking the continental divide, we hadn’t seen a single animal besides the ranger’s pet leaf bug. And then we didn’t see the continental divide. We were completely enveloped in Stephen King’s Mist. Except that his had cool wildlife. This was just like being inside a…Oh. 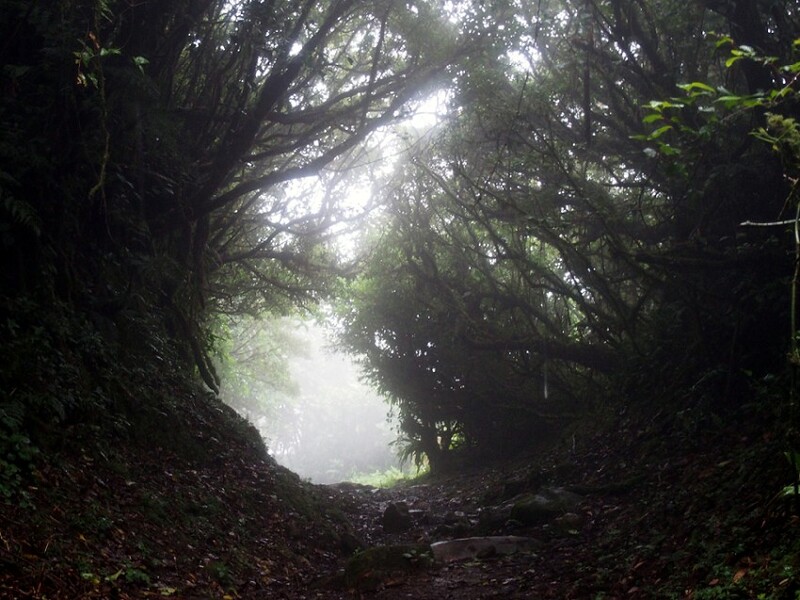 Cloud forest. The rest of our route, other than a red suspension bridge hanging eerily and incongruously in the forest, was uneventful. Except for one moment. I was walking at the front of our party, when suddenly, strutting confidently across the path like there was a crosswalk painted there, was a big, furry arachnid. “Tarantula!” I yelled behind me to the rest of my crew in the same way that you yell “Happy Birthday” at a surprise party. I corralled it with my boot to keep it from getting away before everyone could see it. I wanted to pick it up. It’s an instinct I have. If it has scales or extra legs, I want to pick it up. I didn’t. 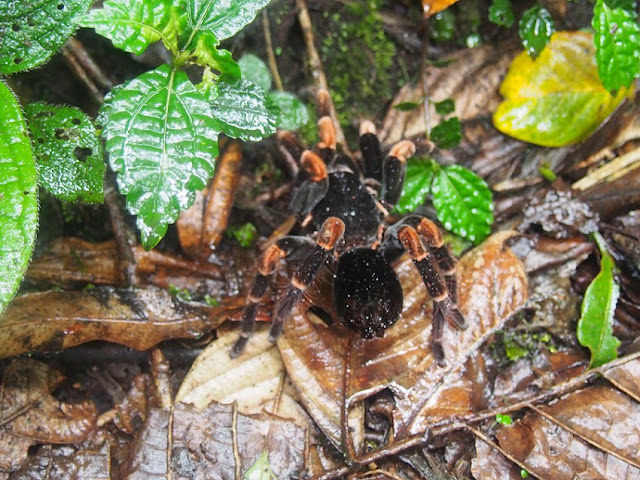 Later, comparing our photos to the ones online, we’d learn it was a harmless Costa Rican red-leg tarantula, also called an orange-kneed tarantula, so I guess its name depends on your color and body part preferences. And that little guy made that wet walk worth every squishy step. Incidentally, we saw our first wild monkeys on the drive home, hanging out in trees above a busy highway. Go figure.